Today QLA met a UXO survivor in hospital who was injured by UXO when burning near his house in Kham District, Xieng Khouang Province on 5 October 2016. “Mr K” is a 26 year old married man and has a young baby. 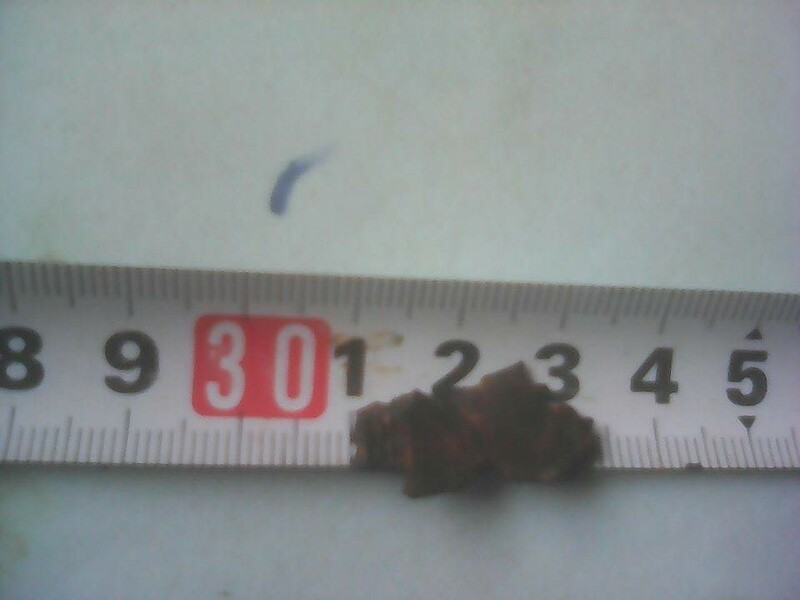 He sustained shrapnel injuries to his right eye and left arm. The shrapnel has been removed, but the next few weeks will determine whether or not he has lost the vision in his eye. 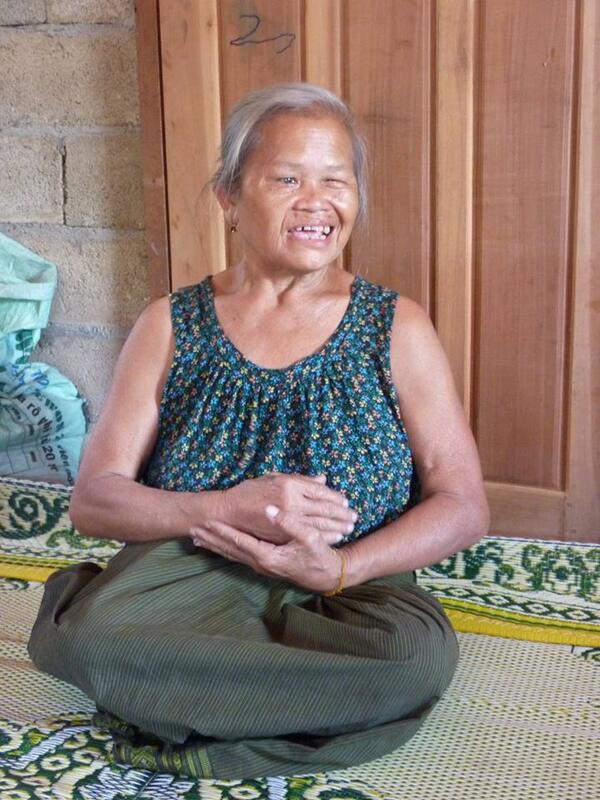 Mr K’s sister-in-law was injured by UXO in 2003 and has since lost her life from complications of her condition. 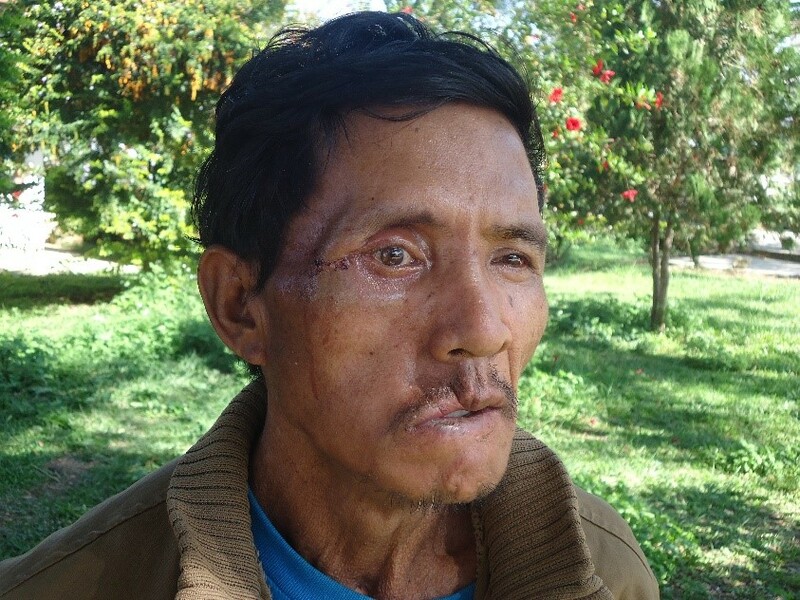 As far as QLA is aware, Mr K’s accident was the 11th UXO accident in Xieng Khouang Province this year and he is the 17th person to be injured. QLA will support Mr K’s treatment for as long as necessary. 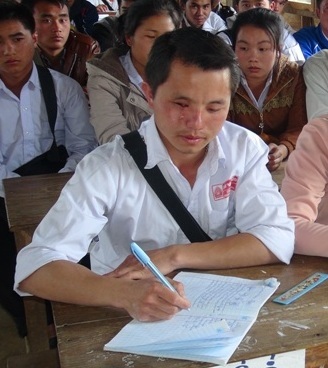 Thank you to DFDL Legal & Tax for funding the treatment of Mr K and other UXO survivors this year. 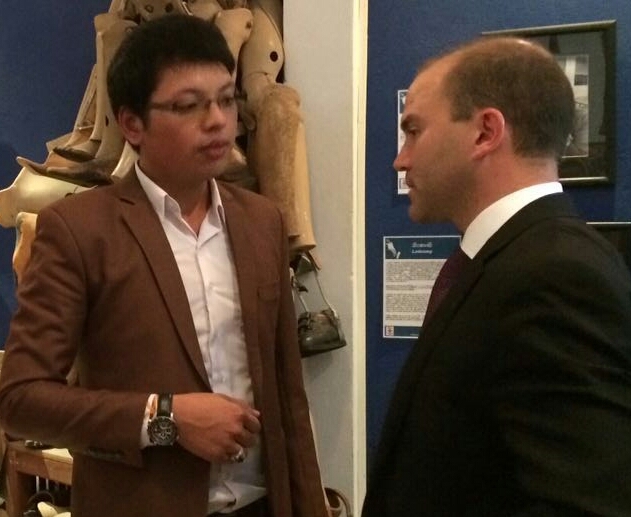 Yesterday, QLA’s Exec Director, Thoummy Silamphan and several other UXO survivors attended a meeting to discuss UXO impacts with a senior advisor to the White House, Mr Ben Rhodes and the US Ambassador to Lao PDR, Mr Daniel Clune. The meeting was at the COPE Visitors Centre in Vientiane, in preparation for President Obama’s visit to Laos in September. 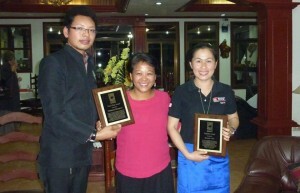 Channapha Khamvongsa from Legacies of War also attended. 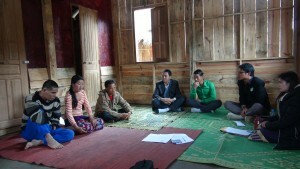 The UXO survivors shared some of their experiences with Ben and Thoummy explained QLA’s work and the challenges of a local not for profit association providing services to help UXO survivors improve their quality of life. Ben was interested to learn that although the number of UXO accidents has decreased in recent years QLA continues to find UXO survivors who have never sought or received help of any kind. 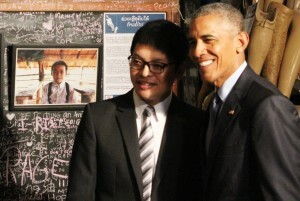 Ben said that he talks to the President every day and will discuss what was raised at this meeting with him. At the time of his accident, Mr Tuey was a 32 year old farmer living in Kham District with his wife and two young children. 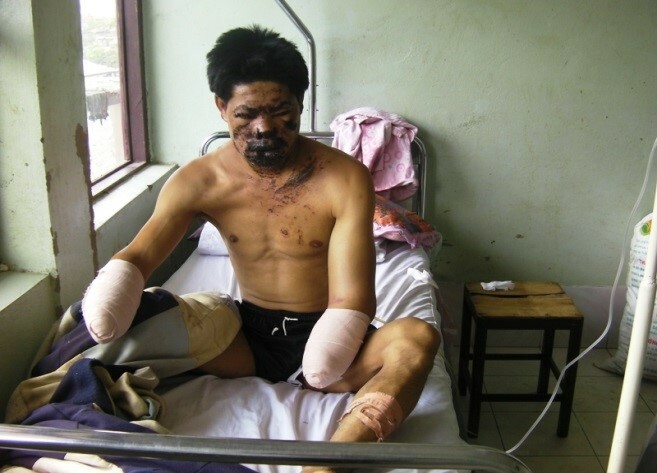 In February 2012, Tuey was using a long knife to do the clearing along the borders of his farm when he accidentally hit a bombie, which exploded upon impact. As a result of the accident, Tuey lost both of his hands, sustained serious facial wounds and was totally blinded. Due to the remoteness of his farm and village, it took about 4 hours to transport Tuey to the provincial hospital for treatment. Tuey in hospital shortly after his accident. Upon his return home after treatment, accompanied by a doctor, Thoummy Silamphan, (QLA’s Executive Director, who lost his left hand in a UXO accident when he was 8 years old) visited Tuey. “Mr Tuey was extremely depressed. He could not do anything for himself, not even feed himself.” Thoummy referred to his own experience in helping Tuey understand that there is help available that can improve his life. The physical challenges of day to day functioning in addition to the sense of burden from inability to contribute to the family’s income have been overwhelming for Tuey. Thoummy arranged for him to receive a prosthesis at the Center for Medical Rehabilitation (CMR) in Vientiane, where Mr Tuey and his wife stayed for one month. 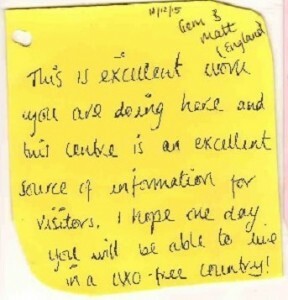 Before he left, Mr Tuey told Thoummy that he felt better for the assistance and the feeling that he was not alone. Since then, Mr Tuey has been able to feed himself and do other things that he had not been able to do since the accident. He had gained some independence which made it a little easier for his family and better for him. Since 2012, QLA has made several trips to see Mr Tuey and to re-assess his needs. Tuey during a home visit by QLA. 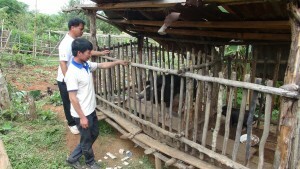 An animal raising income generation initiative was implemented for the family but without much success, as it did not suit their circumstances. Mr Tuey’s wife continues to work on the farm, despite the UXO risk. 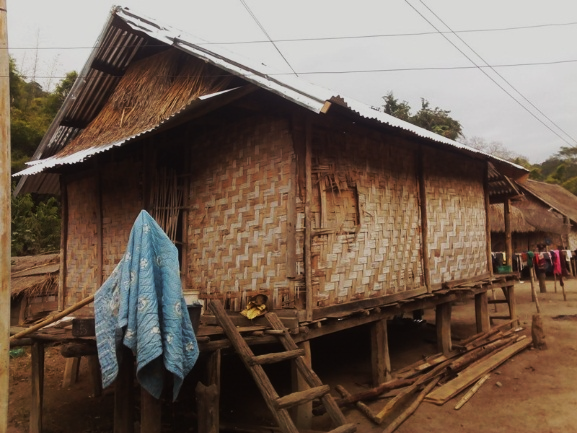 Mr Tuey and his family had lived in a small house with bamboo walls and was in very poor condition. Despite a roof repair kindly funded by another organisation, the house did not meet their needs. Tuey was worried about the poor condition of the house, which contributed to his mobility challenges and quality of life for him and his family. From previous experience, QLA is aware of the impact that newly found safe, secure and appropriate accommodation can have on the psychosocial state of UXO survivors, people with disabilities and their families. 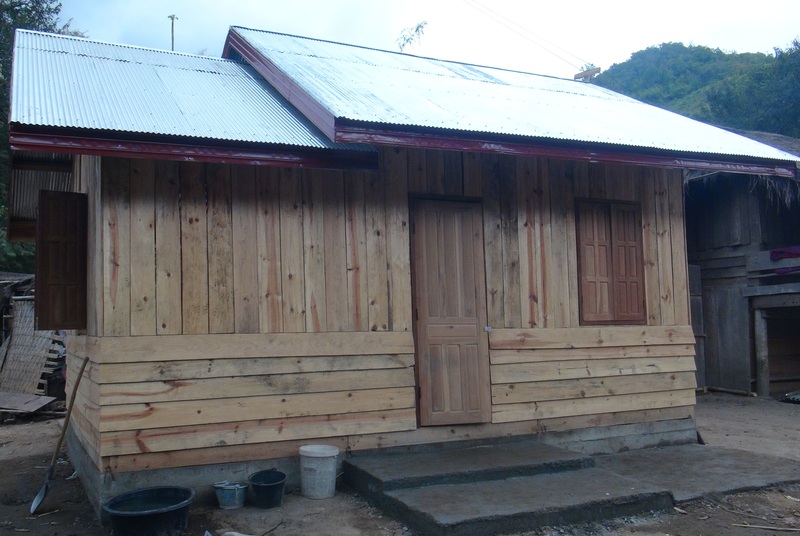 In late 2015, it was agreed that rather than repair the old house, QLA will co-ordinate with local villagers to build a new house for Mr Tuey and his family using funds from a generous private donor to QLA. 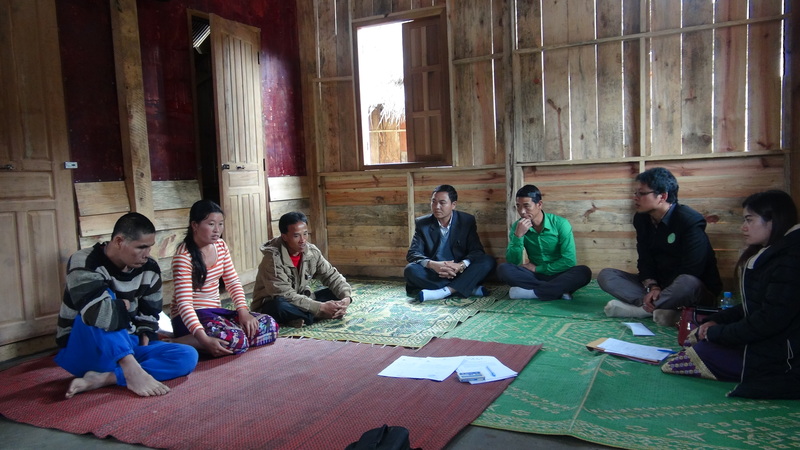 Shortly after, QLA arranged for the needs assessment, drawing up of plans and the purchase & delivery of the building materials to Mr Tuey’s village, which is in a remote location. The old house of Mr Tuey and his family. 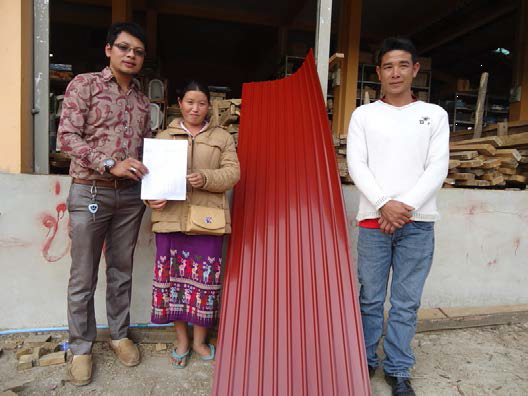 Thoummy, QLA’s Executive DIrector, hands over the building materials to Tuey’s wife and the Building Technician. At long last, Tuey’s new house. Two building technicians went with the delivery truck to the village and they stayed there until the construction work by the local villagers was complete. 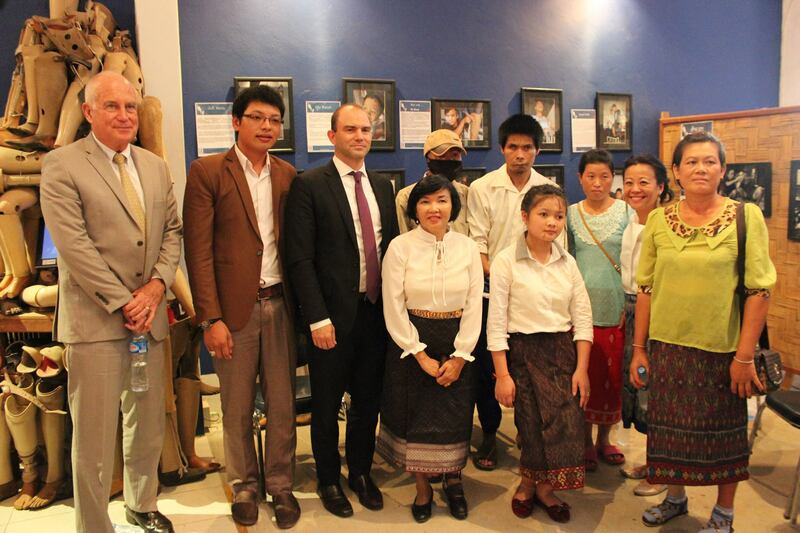 Around the same time, QLA held a social gathering in Phonsavanh for peer to peer support between UXO survivors and people with disabilities and Mr Tuey attended for the first time. He said the gathering was very good and even though he could not see the other people, he could hear that many people faced similar challenges to him. For him, the best thing about the day was having the opportunity to meet with other people, including a blind UXO survivor who was actively raising questions and making comments throughout the day and Mr Tuey was pleased to hear a blind person be so active. He expressed interest in coming to the next gathering. 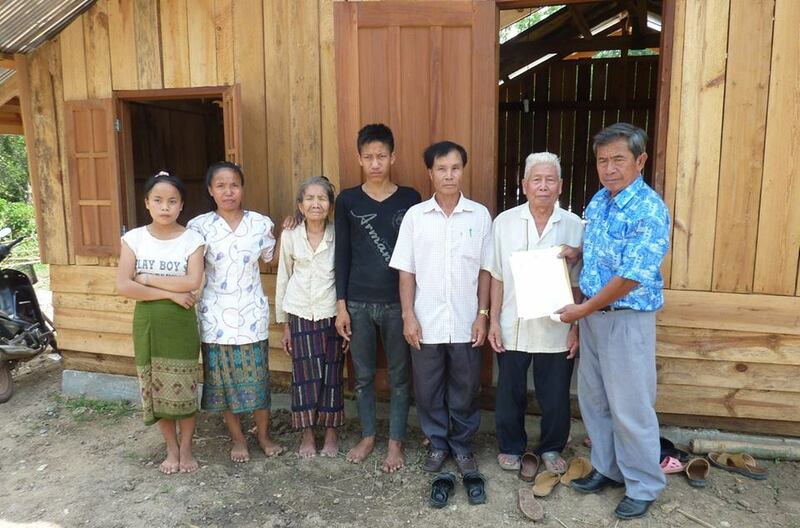 In late January 2016, QLA handed over the new house to Mr Tuey and his family. 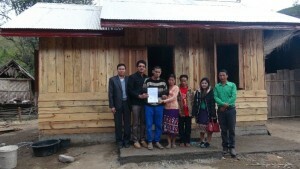 Handover of the paperwork for the house was supervised by the Head of the Village and the Head of Kham District’s Finance Office. 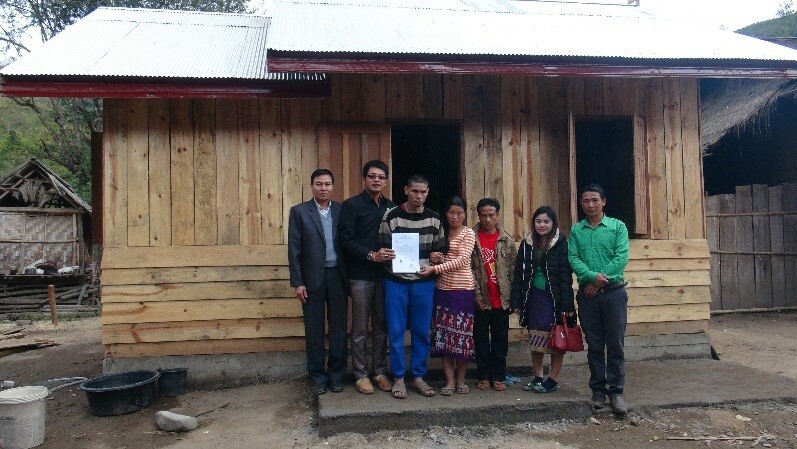 Mr Tuey and his wife proudly show the paperwork for their new house. 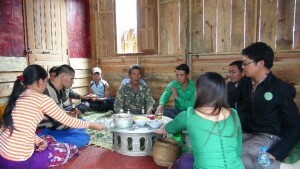 A basi ceremony was held to show appreciation for the new house and to bless the house. Basi ceremony as a token of thanks and to bless the house. Tuey later invited his relatives, friends and neighbors into the new house and they enjoyed the food and drinks and a few smiles together. 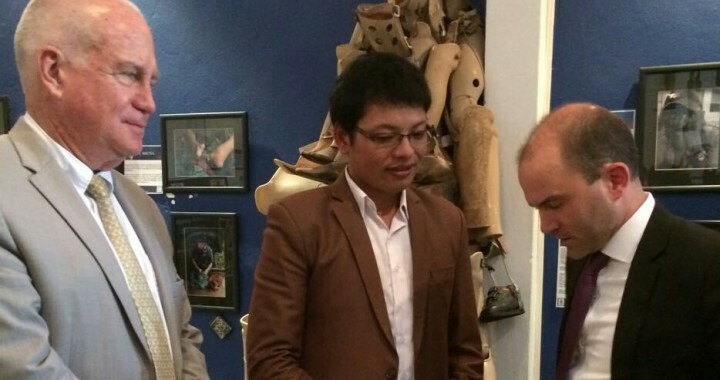 Additionally, the head of village also attended the ceremony and gave a speech of thanks to QLA. Mr Tuey’s mother told QLA that this was the first time she had ever seen friends and villagers engage with her son in this way since his accident and him engage with them. During the same trip, QLA also provided a grant (provided by a different private donor) towards a small business initiative that Tuey and his wife had recently started. The grant will be used to construct a small shop and to purchase materials for selling gas/petrol and to buy other products to sell. 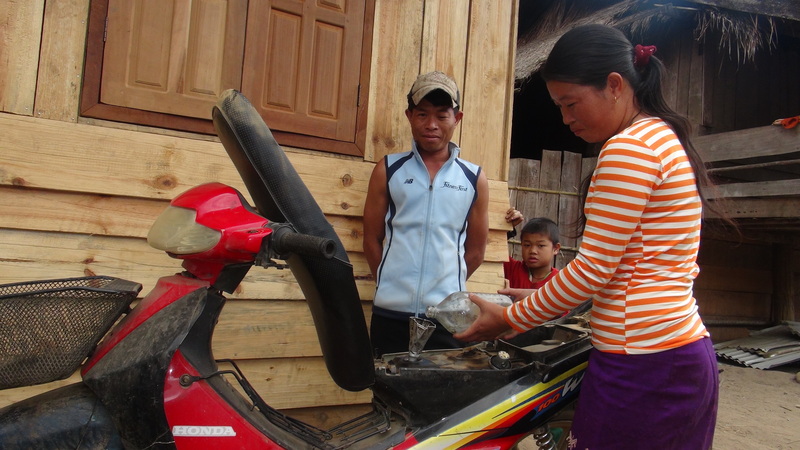 Tuey’s wife told QLA that their small business initiative was running well, because there was no such shop in the village and very much needed, as many customers were coming to buy petrol. At the time of QLA’s visit, a customer came to buy petrol for his motorbike. Tuey’s wife serves petrol to a customer. 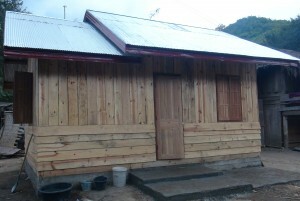 Mr Tuey also told a QLA representative that the new house has brought a new life. 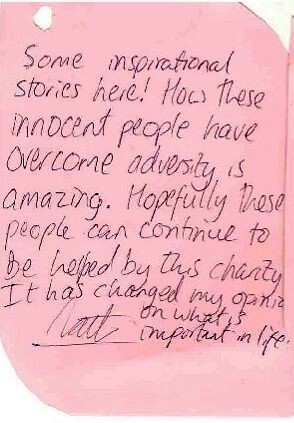 Understandably, he acknowledged the challenges and negative thoughts he has had since his accident, but said he now feels inspiration to keep going, whatever the case and will focus on the future for himself and his family. 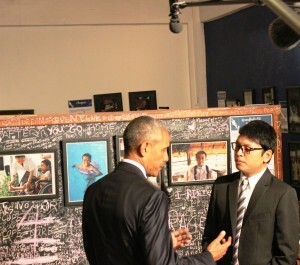 He said he will try to use the grant to generate more income for his family. Tuey’s wife also mentioned that once she has more money she will buy some materials to build a small kitchen just behind the new house for cooking and she will ask her relatives/neighbors to help with this. QLA would like to thank the two private donors whose kind generosity has helped to improve the quality of life for Mr Tuey and his family. Mr Tuey and his family. QLA wishes them well in their new home. 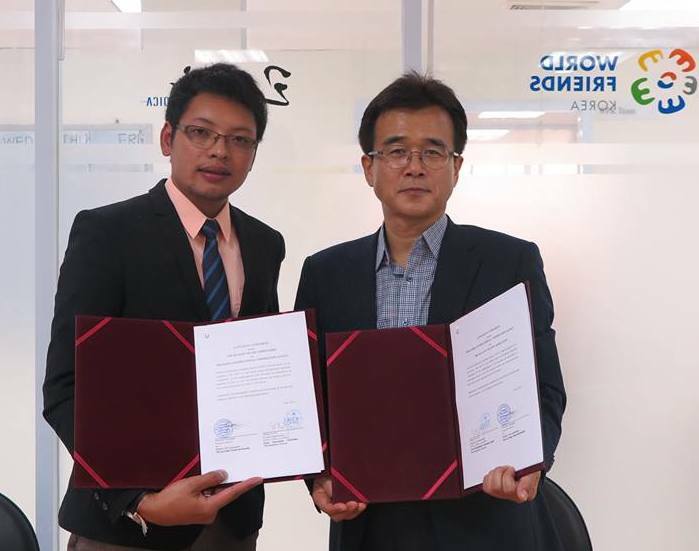 QLA is very pleased to announce that in early January 2016, a 12 month agreement was signed with the Korea International Cooperation Agency (KOICA) as part of its Local Civil Society Partnership Program (LCPP). QLA’s project aims to improve the quality of life of marginalized people (UXO survivors, people with disabilities and the most poor in UXO affected communities) in 4 villages in Nam Oun, Khoun District, by implementing initiatives to increase independence of the participants through removal of barriers to inclusion, skills development and income generation. 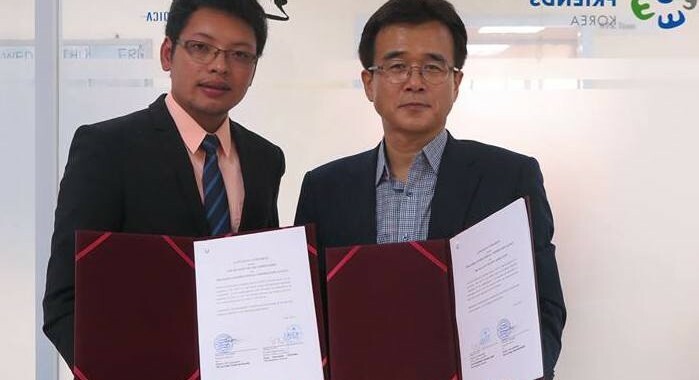 Importantly, capacity building of the QLA team is also part of the agreement. QLA is very proud to be the first local not for profit association to participate in KOICA’s LCPP in Lao PDR. QLA is very pleased to announce a new agreement with regional law firm DFDL Legal & Tax. This is the third consecutive year DFDL Legal & Tax has supported QLA, which demonstrates their continued confidence in the work QLA does. 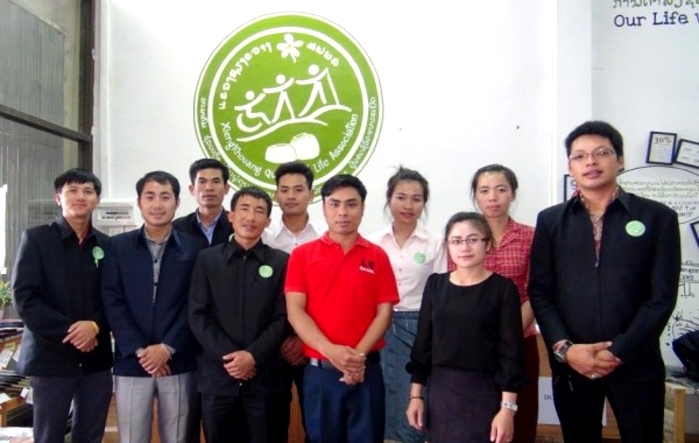 This year’s funding is double the amount of last year and is for the specific purpose of providing for the cost of medical treatment for UXO survivors in Xieng Khouang province. DFDL Legal & Tax is the only donor to QLA which provides funds for this specific purpose. 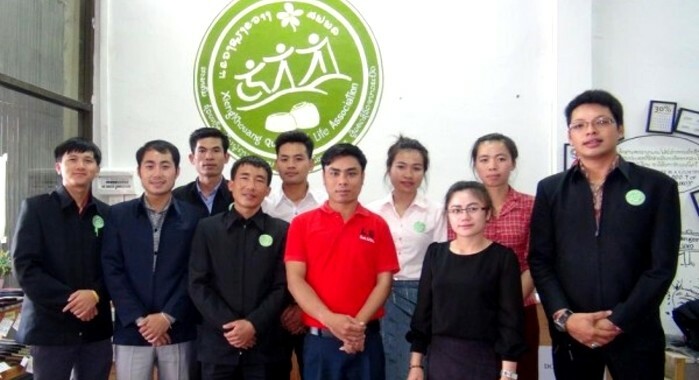 QLA is the only not for profit association in Lao PDR set up for the specific purpose of assisting UXO survivors, people with disabilities and UXO affected communities in Xieng Khouang Province, the second most bombed province in the country and the fourth poorest. 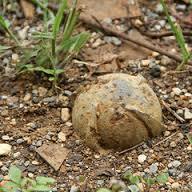 Unexploded ordnance (UXO) continues to be an issue in Xieng Khouang Province and despite very dedicated work to clear the bombs, the task is huge and many areas have yet to be cleared. 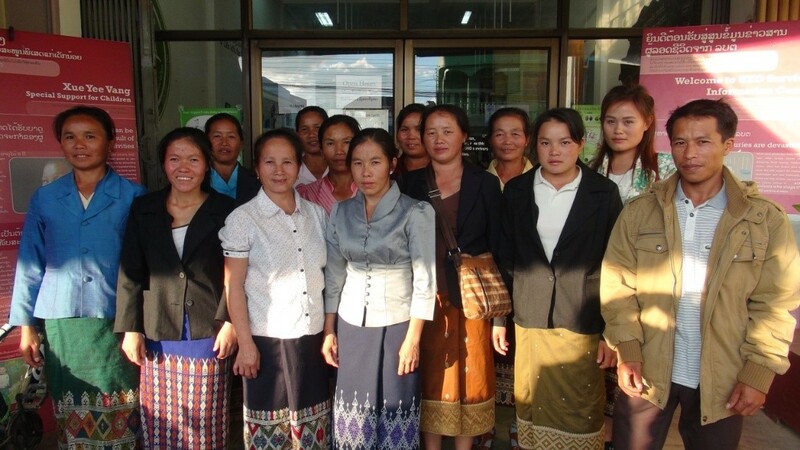 Under the previous grant from DFDL Legal & Tax, QLA provided assistance for the medical treatment of 24 UXO survivors. 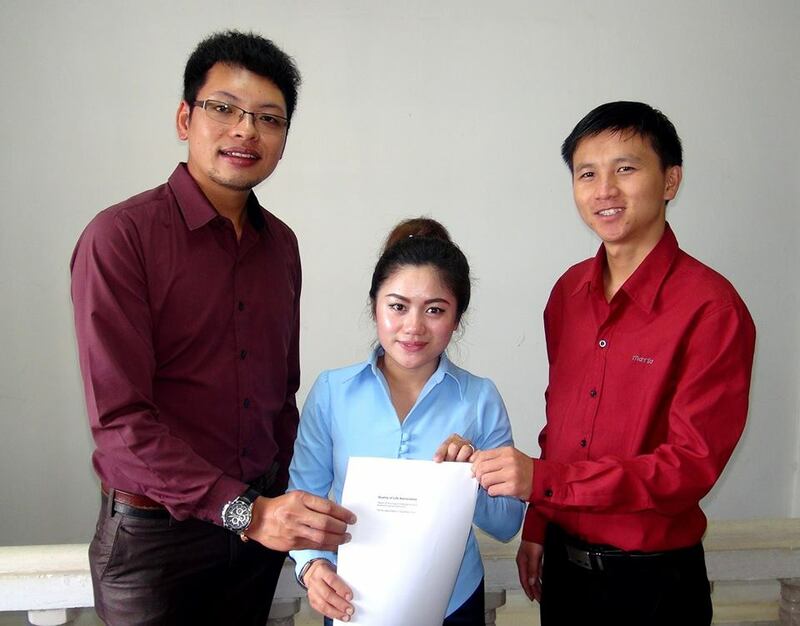 On behalf of UXO survivors in Xieng Khouang Province, QLA would like to thank DFDL Legal & Tax for their continued support. 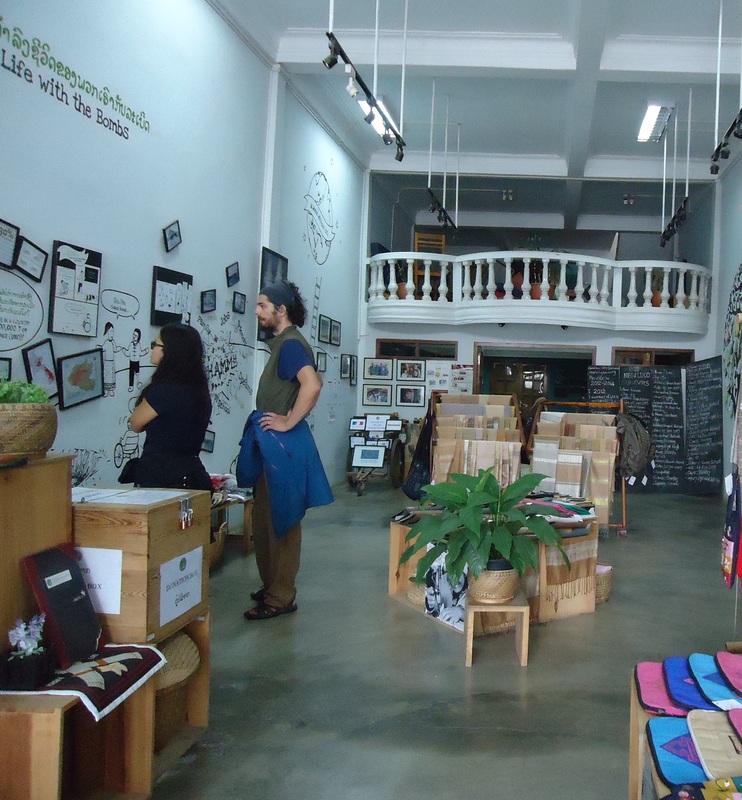 Khop chai der DFDL Legal & Tax! 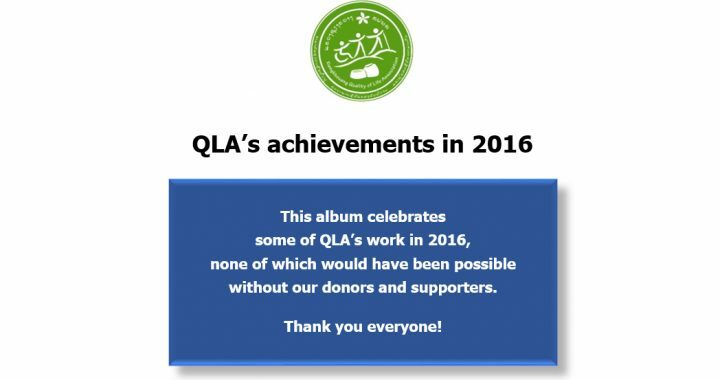 This post celebrates some of QLA’s achievements in 2015, none of which would have been possible without our donors, partners and supporters. 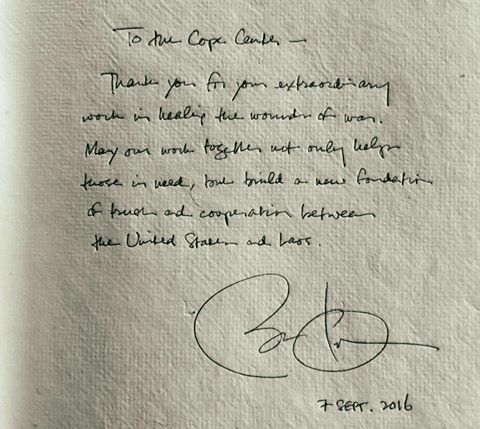 Thank you everyone and we wish you the best in 2016. 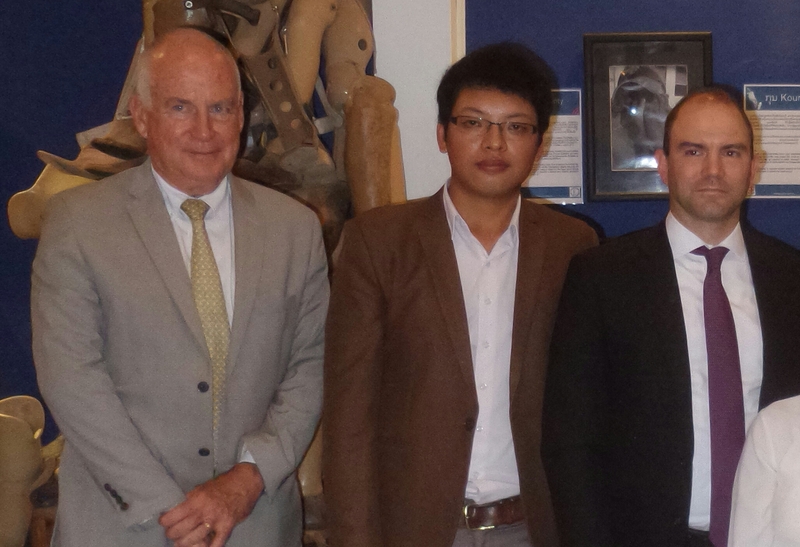 26 UXO survivors had the cost of their medical treatment paid for by QLA, including twenty three year old Chong Lee who endured 3 years of pain caused by a large piece of shrapnel that remained in his face until it was removed in 2015. 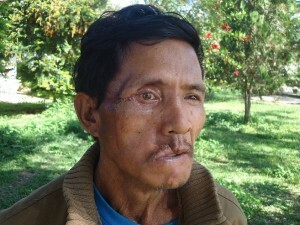 When the Interplast medical team came to Phonsavanh in December 2015, QLA referred UXO survivor, Mr Phimpha, who underwent surgery to improve the opening and closing of his eye, which is now much better. Thank you Interplast! assistance with the cost of their continued education. to provide first response first aid in the event of an accident. and 1 person with disabilities and their families. 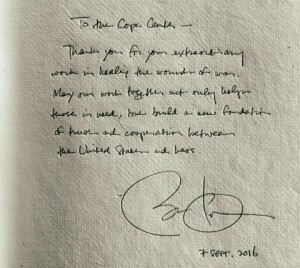 As a result, more than 20 people were the beneficiaries. 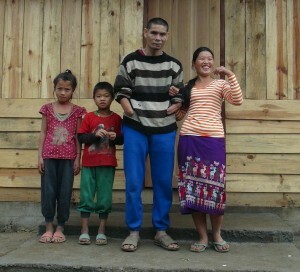 Paralysed since she was 3 years old, Ms Dam was thrilled with her new house and new independence. 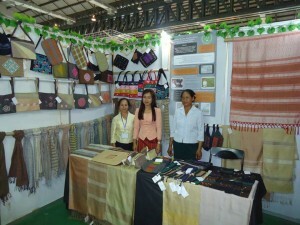 to improve the quality of their weaving and handicraft products and increase their income. This project has far exceeded expectations. PWD, family members and/or impoverished people living in Xieng Khouang province. 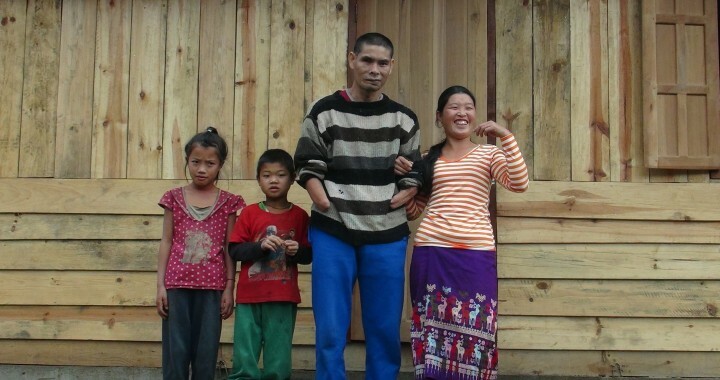 5 people with disabilities received simple assistive devices to improve their daily functioning and quality of life. 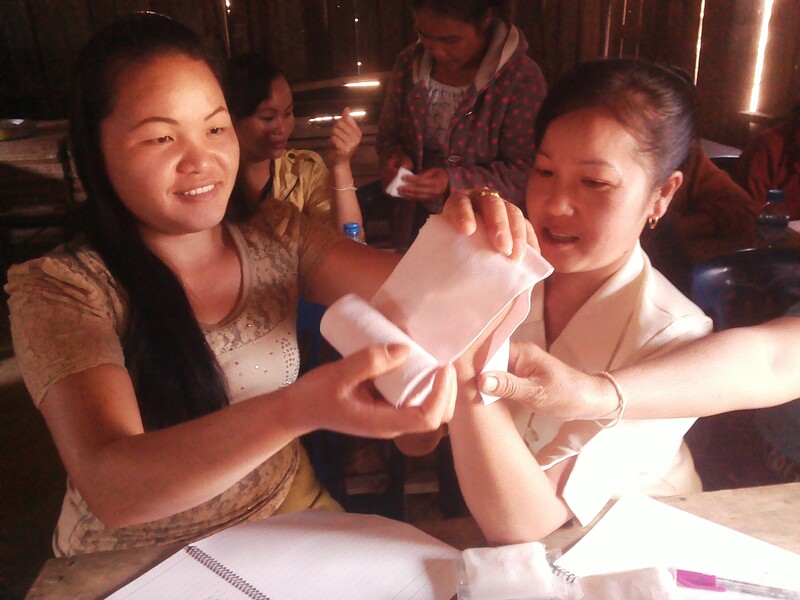 livelihood training initiatives and/or in the provision of medical care. (in which more than 226 people with disabilities reside). and QLA’s first external audit was conducted by Ernst & Young Lao Ltd.
to promote awareness of QLA and to sell handicraft products for income generation for producers. 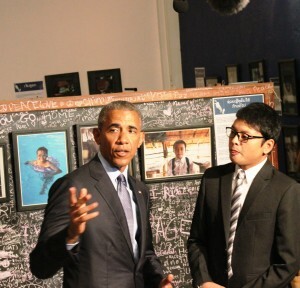 ‘Voices from Laos’ tour of the USA in 2013. 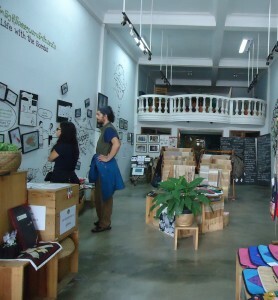 UXO Survivor Information Centre in Phonsavanh (11% increase from 2014, which was a 42% increase from 2013). 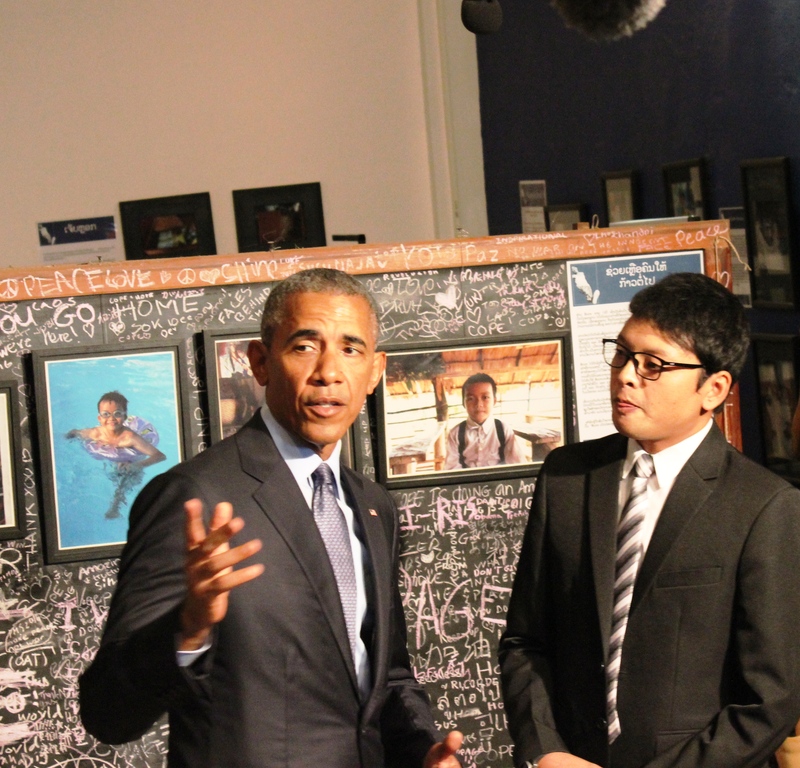 Thank you to all of the donors, partners, visitors and friends who have supported QLA during 2015. 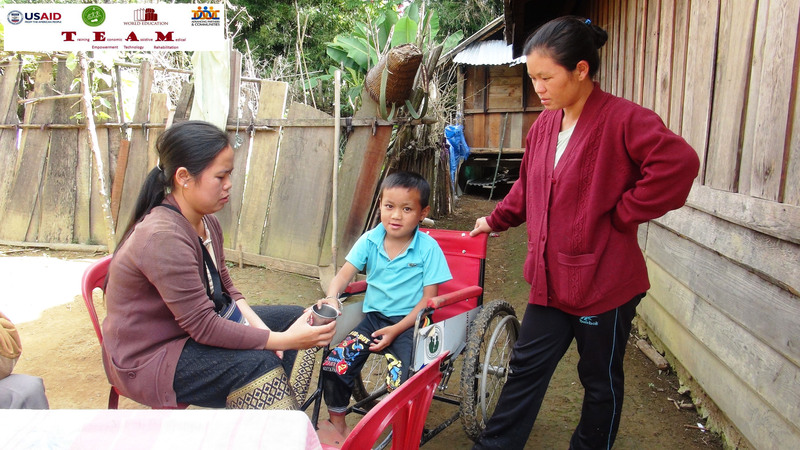 To all of the UXO survivors, people with disabilities, their families and the impoverished people living in UXO affected communities in Xieng Khouang Province we look forward to doing our best to help improve the quality of your lives in 2016!